By the end of the Online MSc in Computer Security programme, you will have a thorough understanding of a complete range of security issues, including the security of applications, platforms and networks; computer forensics and built-in security; together with associated political and commercial considerations. 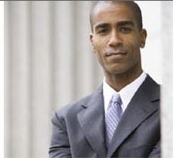 You will emerge fully prepared for a professional career in information security. The international virtual classroom used in this MSc provides an ideal perspective from which to consider the global nature of security and confidentiality issues, offering a unique insight into threats and solutions across the world. Core MSc modules cover computer structures, professional issues, communication and networks, security engineering, computer forensics and programming the internet. You can then personalise your degree with two elective modules chosen from database analysis, software engineering, QA and testing, operating systems, Java programming, XML applications and e-commerce. You complete your degree with an original dissertation. You should emerge with the technical and commercial expertise that will be increasingly in demand in today’s information-dependent world. Your advanced, specialist qualification should provide the foundation for a senior career as a computer security expert in a dynamic global organisation. Please note for the MSc in Computer Security, The University of Liverpool Online also evaluates applicants on an individual basis. 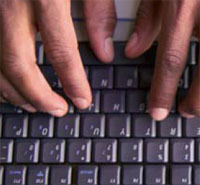 The Online MSc in Computer Security programme comprises eight modules (six required modules plus two electives chosen from seven options), culminating in a dissertation. Our first module lasts nine weeks and incorporates a week-long introduction to both the programme and our online learning platform. All the other modules are eight weeks long. To undertake a piece of original research to demonstrate your mastery and integration of knowledge you have acquired during the programme. You choose your dissertation topic in conjunction with your personal dissertation advisor, an academic supervisor, who will provide support throughout the study and writing process. Your dissertation will apply your new knowledge and work experience and must have merit beyond the narrower scope of your particular need. The Online MSc in Computer Security programme takes, on average, 30 months to complete. However, since students progress at their own pace, you may choose to complete your studies in as little as 18 months or spread them over the six-year maximum. For tuition fee information about the programme, please contact The University of Liverpool Online here.